So much for playing nice. 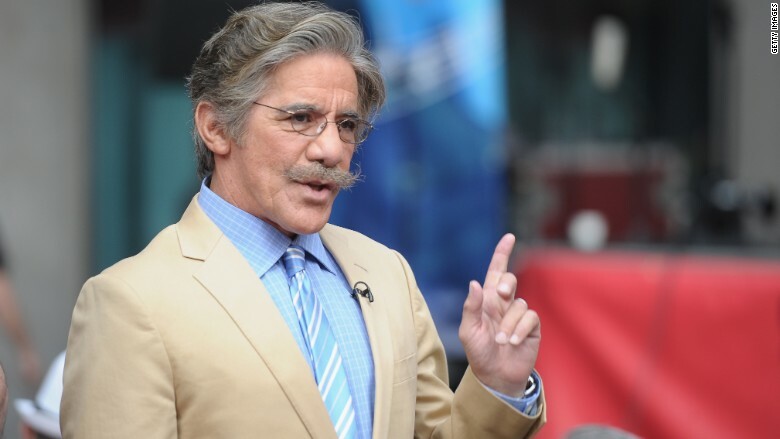 Geraldo Rivera appeared on Fox News' "The Five" on Monday and threatened to knock out co-host Eric Bolling during a heated argument about Donald Trump's comments about immigration. After a San Francisco woman, Kate Steinle, was murdered by an illegal immigrant, Rivera accused Trump of using her death to push for an immigration crackdown. "It is exploiting and sensationalizing," Rivera said. "From a guy who exploits and sensationalizes everything," Bolling interjected. "Are you talking to me?" Rivera asked. "You're lucky that you're my friend. I'd knock you out right now. That's absolute B.S." Co-host Kimberly Guilfoyle then appealed to the control room to take the show into a commercial break.